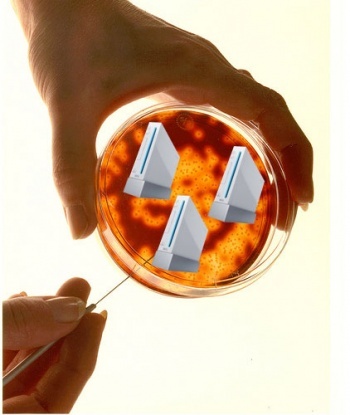 Former DICE CEO Describes Wii as "A Virus"
Is the Nintendo Wii's popularity similar to that of the latest flu outbreak? Fredrik Liliegrin, former CEO and co-founder of DICE, the development studio currently working on titles such as Battlefield: Bad Company 2, doesn't believe that the Nintendo Wii is all that great of a videogame console. He sees it more of a toy, which most purchasers barely use. He's currently at Antic Entertainment working on a browser game called Junk Battles, but don't expect anything to come from the studio anytime soon for the Wii, unless a lot of money is involved. He says: "If I got paid to develop a Wii game I would do it. I would not put an original IP on the Wii today unless I thought I had an absolute home run." The reason? Liliegrin would "describe [the Wii] as a virus, that doesn't stick." It's not just a contagious, unwanted disease, but an impotent one as well. To him, the Wii is also "a toy, not an entertainment focused product." Most people that buy the Wii will "play Wii for a bit, feel it's really cool, blah blah blah, they go out and buy one," but that according to him these people generally "are not the core game consumer." "They just don't use it, it was cool, but they're not gamers, so they put it away," he believes. He doesn't hate on Nintendo, believing that the company is "smart in that way in that they realize this is not a video game machine, this is not a games game machine," and that it capitalizes on things like the "Wii Fit phenomenon that helped a lot of people get a nice cutie voice telling that they're fat and need to go work out." Before anyone gets out of hand saying Liliegrin hates Nintendo, his "virus" comment actually has a point. Most people probably aren't playing the Wii anymore. The system makes its way into their homes, but interest can fade just as quickly as people get over a cold. It'll get dusted off when Super Mario Galaxy 2 or the next Zelda are released, but these types of games do not hit the system very often at all. Liliegrin's comment is too generalized for sure, as the Wii has proven to be a great tool to entertain people of all ages, but in many cases I would assume he's right.